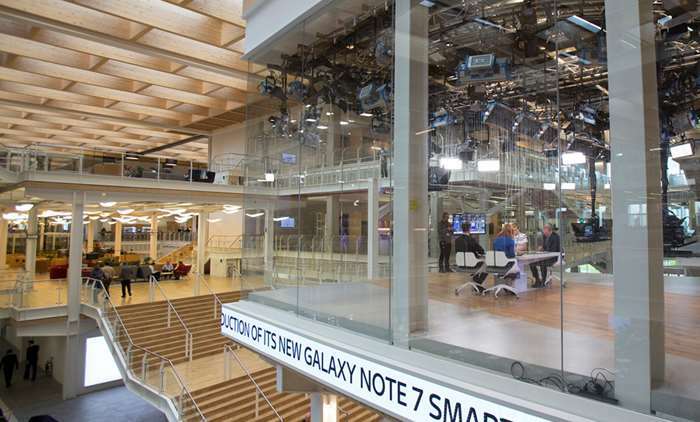 UPDATE | Big Brother meets the newsroom: Sky News is to offer viewers a live stream from their newsroom. In an event to mark 30 years of Sky News, 32 cameras and microphones are being installed around the newsroom to capture the comings and goings of reporters, presenters and producers for "Sky News Raw", available live from 7am-5pm on 5th February 2019 on the Sky News website, app and via Sky channel 523. Jayne Secker and Niall Paterson will guide viewers through the proceedings within the newsroom. The only safe zones at Sky News HQ, where journalists can have "sensitive conversations" are the corporate offices, according to an all staff email. Accompanying the event, special features and interviews on the future of news will feature on Sky News, with a live debate on Monday 4th February 2019 to be screened on Sky News. ► On 5th February 1989, Sky launched its first network of channels: an upgraded Sky Channel (to become Sky One), Eurosport (in partnership with the EBU), Sky Movies and Sky News. First published on 24/01/2019 and updated 30/01/2019 with confirmation broadcast hours and Sky channel number.